SPARKvue was designed to be a solution for science students of all levels — simple enough for elementary-level learners but with the features to suit the needs of advanced physics, chemistry, biology or environmental science students. The key is that SPARKvue has a layered interface which doesn’t overburden the user with tools, but reveals powerful capabilities when needed. And the bold, full-color interface allows you to use media-rich content to grab students’ attention and keep them engaged. You can create your own labs with any graphics or text that you wish or purchase the set of over 60 SPARKlabs we have created for every subject area. 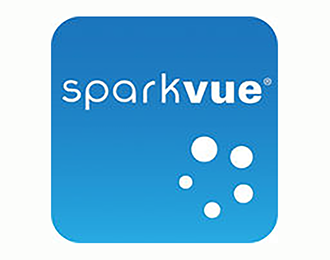 SPARKvue – the simple, convenient, reliable and complete solution to using probeware in your classroom. Intuitive icon-based navigation keeps the focus on the learning, not the software. Provides real-time, quantitative measurement and analysis with the PASPORT line of sensors. Built-in predictions, annotation tools, snapshot capability, and an electronic journal. Display data in multiple simultaneous representations, including graphs, tables, digital displays, and analog meters.